If you haven't been following my previous posts you may want to review quickly before diving into this one. At the very least be sure to have watched the videos from the first link. I think it's important that we begin to discuss the bigger training questions as they relate to these 2 videos. After all, there is a CONTEXT around each that is quite unique. And however obvious these points might be, I think it's helpful to point them out because I'm certain their on your mind and you just don't want to ask or comment. That's cool. 1937 had black and white film on reels of "tape" and it was a physical, analog, medium. This required a long production process, and a long complicated delivery process. The film needed to be duplicated and transported to many different locations. The learners needed to be gathered into a room. 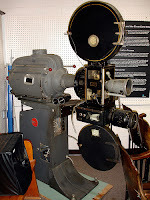 The properly skilled technician needed to setup and run the projection equipment. Duh! Right? Yea, I know. Okay, so what does that mean from an instructional design perspective? Obviously, there HAD to be more to the training than JUST this video. Did they break up into teams and have a lab session with a differential sitting there in front of them? Who was the intended audience? Was the film intended for soon to be military vehicle mechanics or was it for ALL new Chevrolet mechanics? Perhaps it was produced by Chevy but intended to be sent to mechanical engineering schools. We don't know. But if you do know, I'd love to hear about it. The changes in instructional design have changed very little over the decades, while technology has progressed significantly. The technology restrictions of analog media have long since vanished, and yet I still see the instructional models of old being employed. Let's just take a look at video. 70 years ago it took a massive amount of effort, by today's standards, to get that film in front of a learner. Today, with YouTube and other video sharing platforms and the simple fact that the internet is the greatest distribution channel ever, it takes VERY little effort to accomplish the same task. But the reality is even bigger and better than that. Because of mobile devices anyone can watch videos where ever they are at any given time. And the best part is that they can watch it as many times as they want. Knowing that your learners can watch your video anytime, anywhere, as often as they want is a significant change in context since 1937. Heck, it's even a big change since 1997. And that's just video. What about the fact that a learner could be watching the video WITH many other learners/classmates from around the globe at the same time. AND they all could be chatting about the video and sharing comments? Is this not a HUGE shift in learning context? Stop telling me that a video is not training. A video used in today's digital context can absolutely be effective training. Video can now be a shared, interactive, repetitive, experience at very little cost. The idea of viewing a film/video once and then moving on to the next part of the training is old and yet we still make that part of the learning EVENT design. Your videos can be viewed multiple times, on multiple technologies, and in a group or alone with people in dispersed locations across the globe. So, shouldn't we be thinking differently about the instructional design opportunities that video now provides for us? While the script writing and production values play a roll, it's really the delivery mechanism that changes everything. That 1937 video is more effective, impactful, and valuable today than it ever was in back in the 1930s simply because it can now be a shared experience between a global audience. 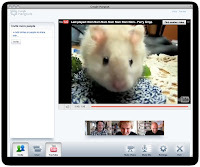 How has video played a part in your eLearning? Do your learners take advantage of collaborating while watching videos together? Do you think they'll ever watch your videos on a mobile device?